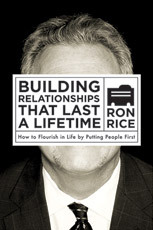 In Building Relationships That Last a Lifetime, Ron Rice reveals the secrets he has learned in his fascinating, entrepreneurial journey to success. He examines the key strategies he used to identify, develop, and maintain both professional and personal relationships over the course of his career. Beginning as a traveling salesman, Rice navigated up through business opportunities and relationships to obtain the American dream for himself and his family. He has proven himself a trustworthy businessman, salesman, and leader. Following his story, you’ll be able to evaluate your own business relationships, strategic leads, and entrepreneurial goals against Rice’s powerful example.